Larson Electronics, a leading manufacturer and supplier of industrial grade lighting, has announced the release of a 5 amp waterproof power supply that converts commonly used 120-240 volts AC electrical current to 12 or 24 volts DC. It is recommended that you do not exceed 75% of the unit’s output amperage in order to obtain the best performance and longest operational life. The DCP-5-HD heavy duty power converter from Larson Electronics includes an optional industrial grade male plug and three feet of cable on the input end and an optional female receptacle on the other end. 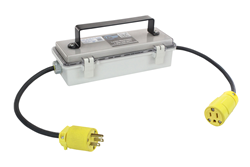 This unit provides a safe and effective way for users to tap into and utilize common 100 to 277 volts AC power sources and converts the current to 12 or 24 volts DC, allowing users to use standard AC power to operate equipment like our low voltage LED lights that require low voltage current. 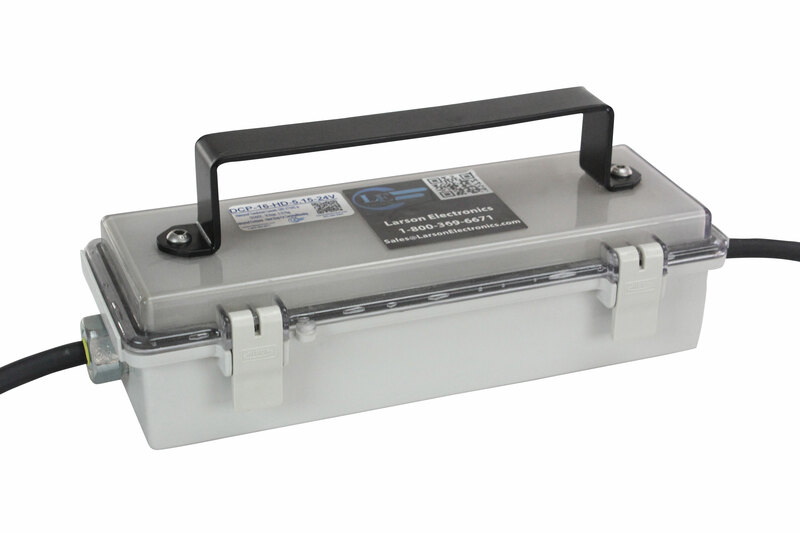 This power transformer features an IP67 rated waterproof design, making it suitable for indoor or outdoor use and is wet area approved. It includes integral short circuit, over voltage, over temperature and overload protection that will shut the unit down or reduce output in case of faults and overloads to protect the unit and connected equipment from damage. 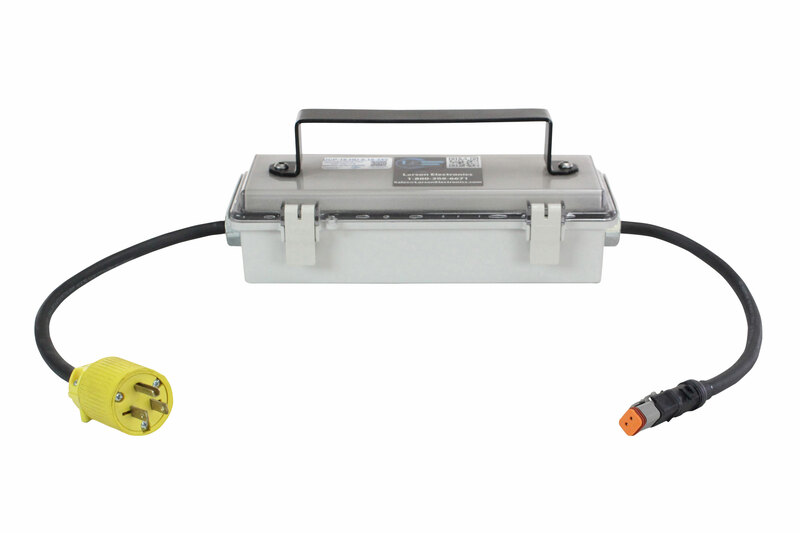 This transformer is enclosed in a weather proof enclosure that is equipped with a handy strap for carrying and/or mounting. The compact size and wide input voltage range of this unit makes it ideal for indoor and outdoor operation of Larson’s LED light bars, hand lamps and other equipment that requires 12/24 volts DC current. Larson Electronics produces a full range of industrial and commercial lighting equipment, explosion proof extension cords, explosion proof plugs and receptacles, light towers, and LED work lights. To view Larson Electronics’ entire line of industrial grade lighting solutions, visit them on the web at Larsonelectronics.com. You can also call 1-800-369-6671 to learn more about all of Larson Electronics’ lighting products or call 1-214-616-6180 for international inquiries.